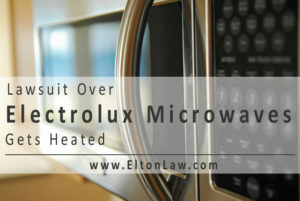 lawsuit-over-electrolux-microwaves-gets-heated | Robert W. Elton, P.L. 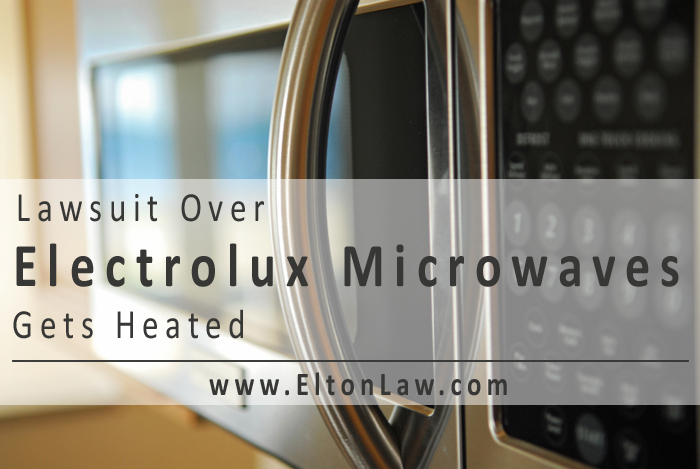 A lawsuit has been filed against the Electrolux brand alleging that their microwaves are defective and harmful. The lawsuit originally filed in Pennsylvania states that the Frigidaire Over-the-Range Microwave series is defective. The lawsuit also states that the defects cause the handle to overheat to temperatures over 168 degrees Fahrenheit when the stove below is being used. Court documents state that the products safety design is not up-to-date and it does not feature an insulating compared toother over-the-range microwaves. Because of this defect, people have suffered from burns and other related injuries. Electrolux, according to the lawsuit, has been notified of the defect, but has not recalled or reimbursed those injuries. According to the annual report released by the company, market demand for microwave ovens and other products have increased by six percent in 2014. The company did release a statement indicating that they are concerned with the safety of their products and encourage customers to contact them regarding any injuries, but representatives have not commented on the lawsuit directly. While the number of injuries reported is minor thus far, it is a case to follow. As the public becomes aware of the lawsuit, more consumers who were injured may come forward. Even though the company has not recalled the product, a recall may occur in the future as this case gains momentum. Any time a manufacturer releases a product, they are obligated to inspect, test, and protect the public. If a defect is noted, then a company should recall the product and compensate those who were injured. Unlike Keurig, who immediately recalled their products, Electrolux has yet to issue a recall at this time. This lawsuit falls under the category of product liability. Those who were injured because of the defect may be eligible for compensation and the reimbursement of their microwave system. If you or a loved one was injured by a defective product, you need to speak to a personal injury attorney. The Law Offices of Robert W. Elton can help you with your personal injury case. Contact us today for a free consultation at 386-267-6455. Let our team represent you against manufacturers who release faulty products and help you get the settlement you deserve.